"The Boss" hit the music industry with the release of his first album Greetings From Asbury Park, N.J., in 1973. The Wild, the Innocent, and The E Street Shuffle quickly followed this release. The albums received critical claim with comparisons to Bob Dylan, Bruce Springsteen's career had begun. The 1973 albums marked the beginning of Springsteen's career and since then Springsteen has sold tens of millions of albums and won over legions of loyal fans worldwide in his 30 plus years as a "rock and roll legend". His break came after a tour with the band Chicago. 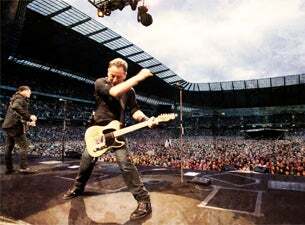 Springsteen captivated the audiences in these live shows, and seeing an opportunity, the singer-songwriter came up with what is called his breakthrough effort Born to Run in 1974. Springsteen released the song Streets of Philadelphia for the movie Philadelphia which won him a Grammy Award and an Oscar for Best Song.